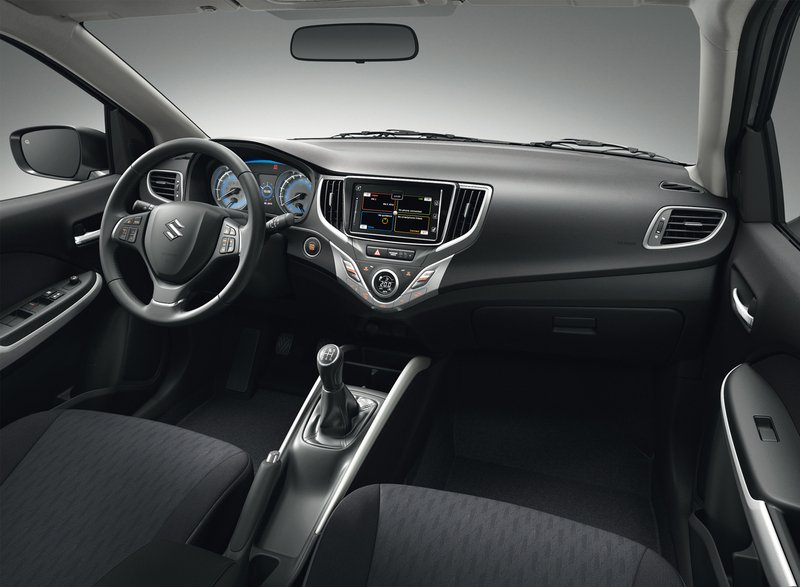 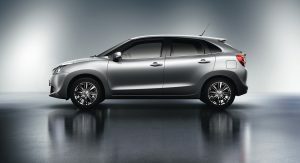 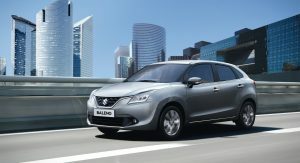 Suzuki’s Baleno hatchback has debuted at the Frankfurt Motor Show with a new generation platform. 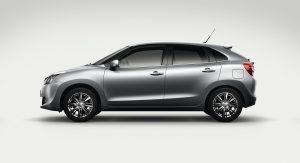 Described by Suzuki as “the ideal compact hatchback” (even though its dimensions place it in the B-segment), the Baleno features a “Liquid Flow” design theme, which according to Suzuki suggests an energetic mass of liquid in motion and can be identified on the Baleno’s curving lines and expressive surfaces. 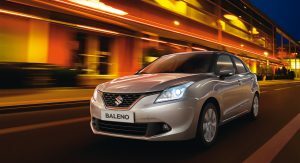 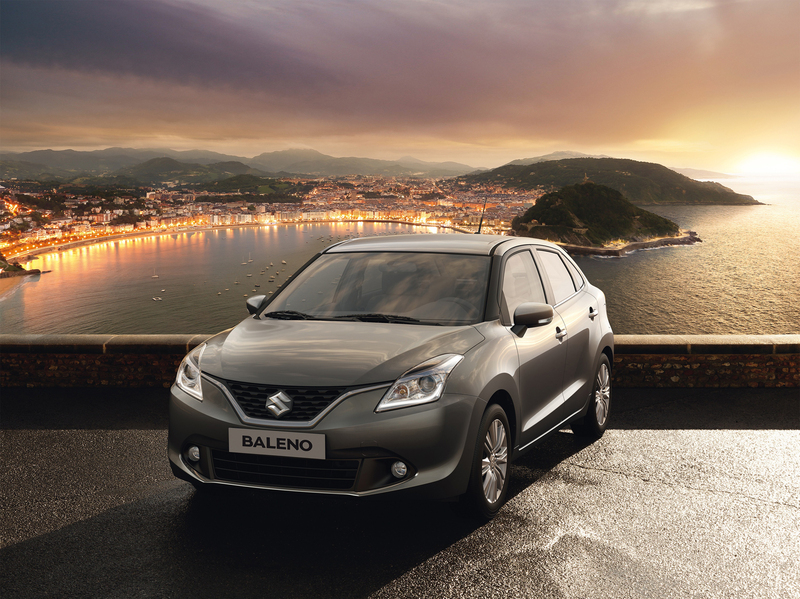 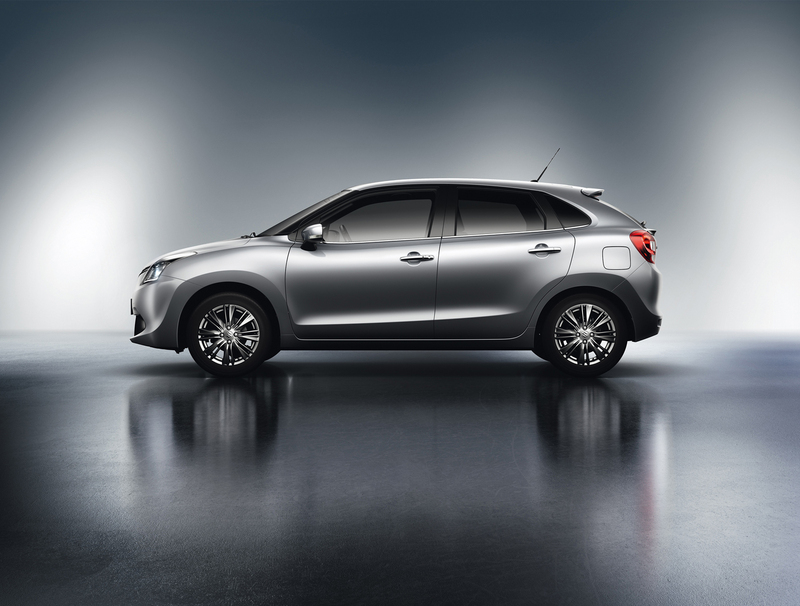 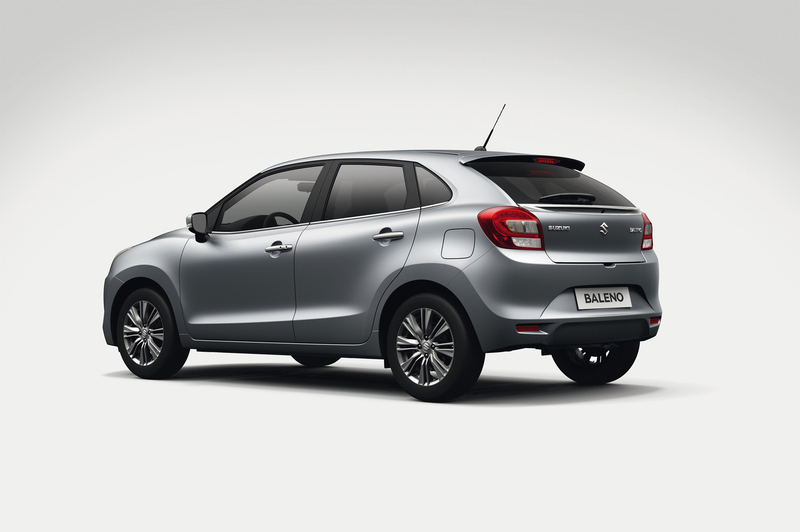 Going on sale in Europe in spring 2016, the Suzuki Baleno uses a new-generation platform, with increased rigidity and reduced weight, which contributes to enhanced fuel efficiency, handling and stability, while still achieving high levels of safety and NVH performance. 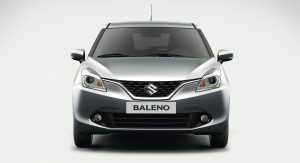 The model’s dimensions (3,995mm long, 1,745mm wide, 1,470mm high) place it at the upper end of the B-segment and lower end of the C-segment. 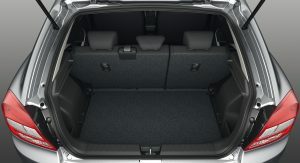 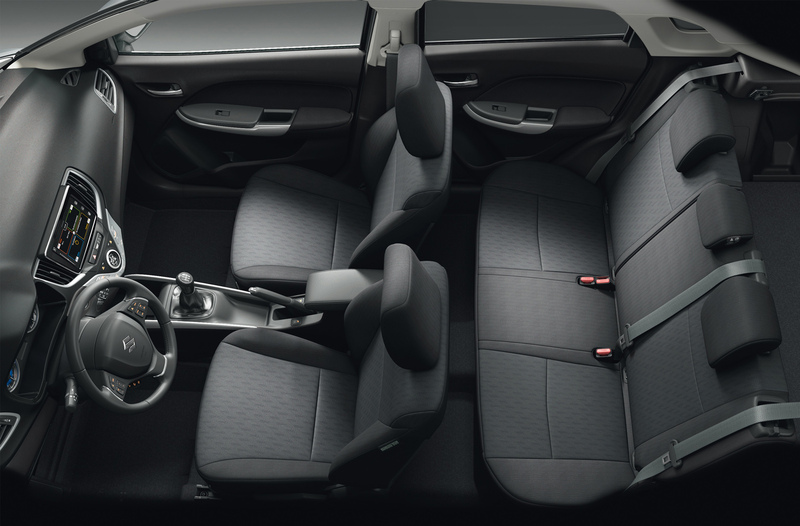 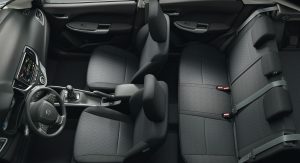 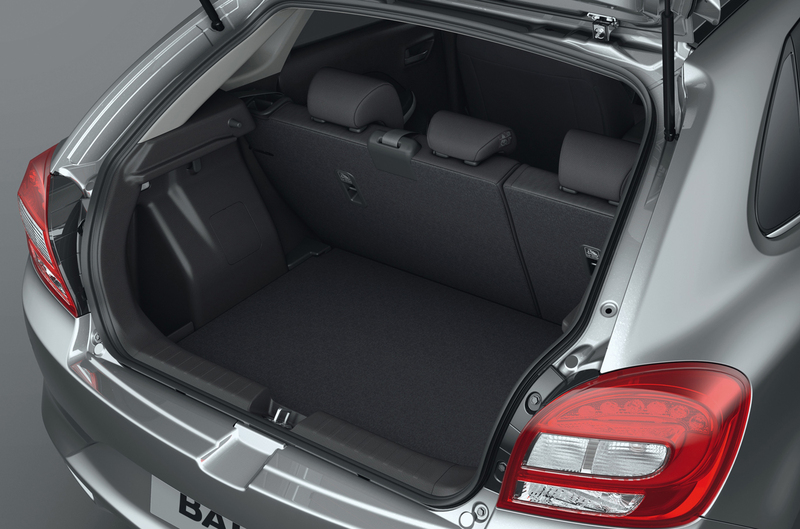 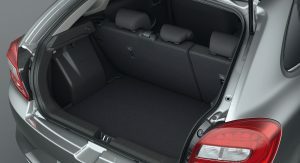 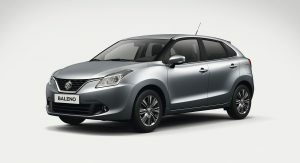 The Baleno offers seating for five people with “generous shoulder room in front, and generous legroom in the rear.” The car’s boot volume is 355 liters (12.5 cu-ft). 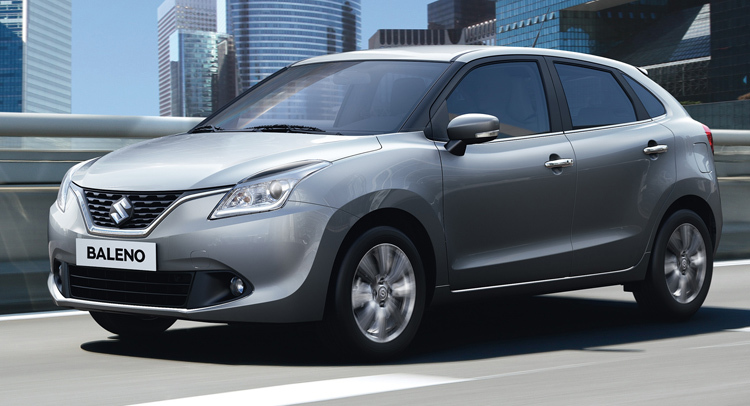 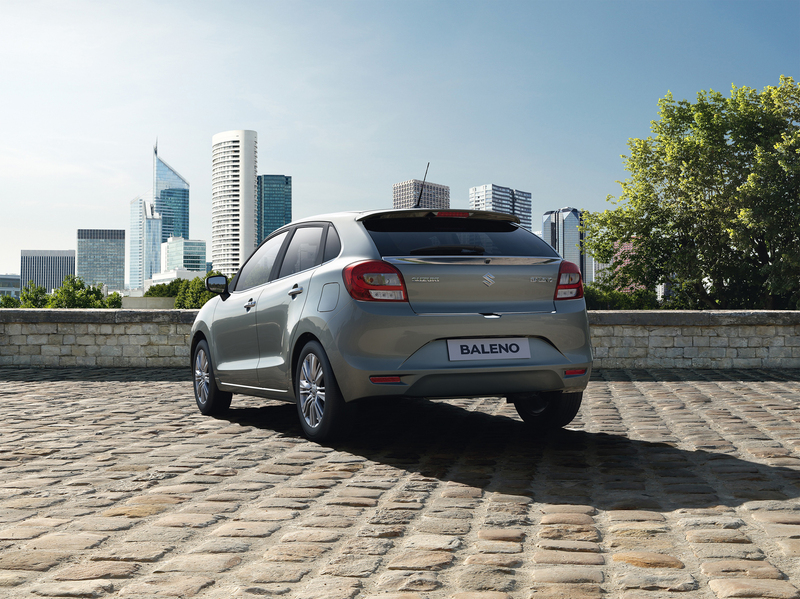 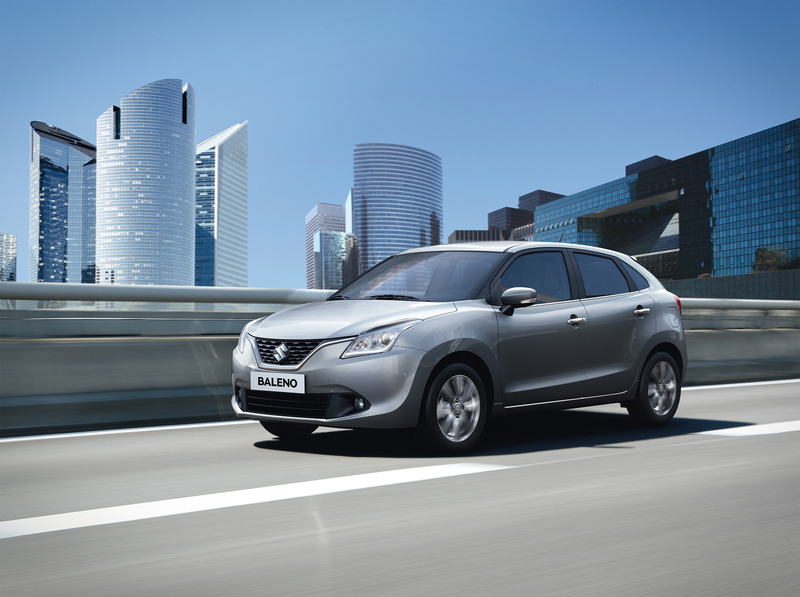 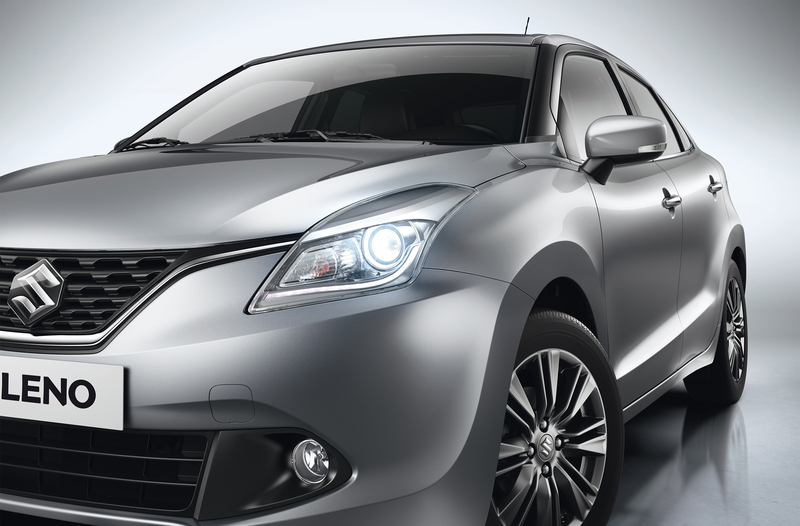 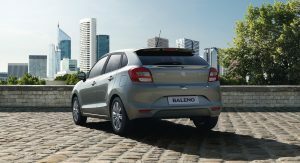 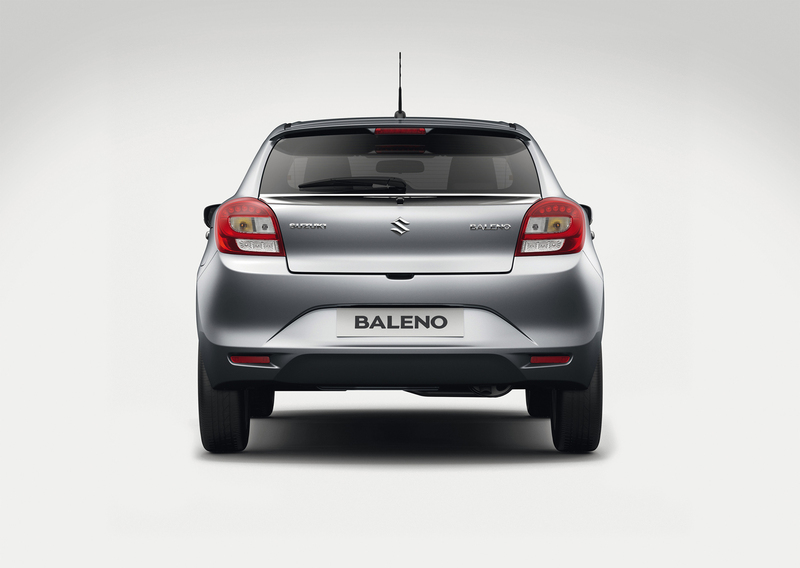 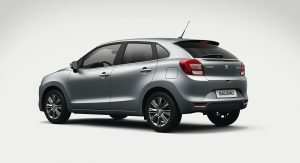 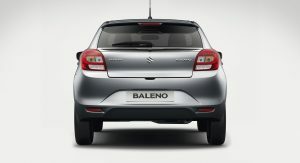 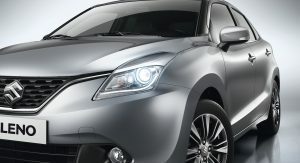 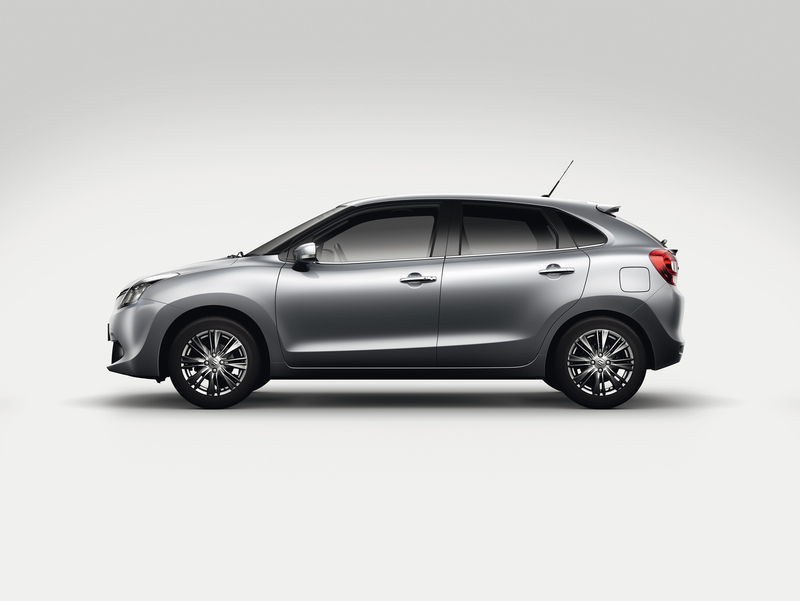 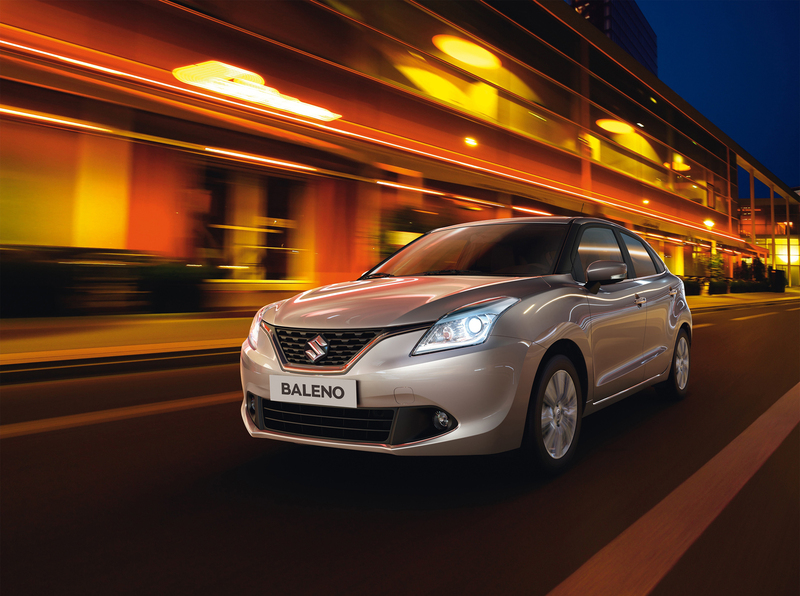 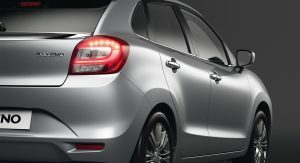 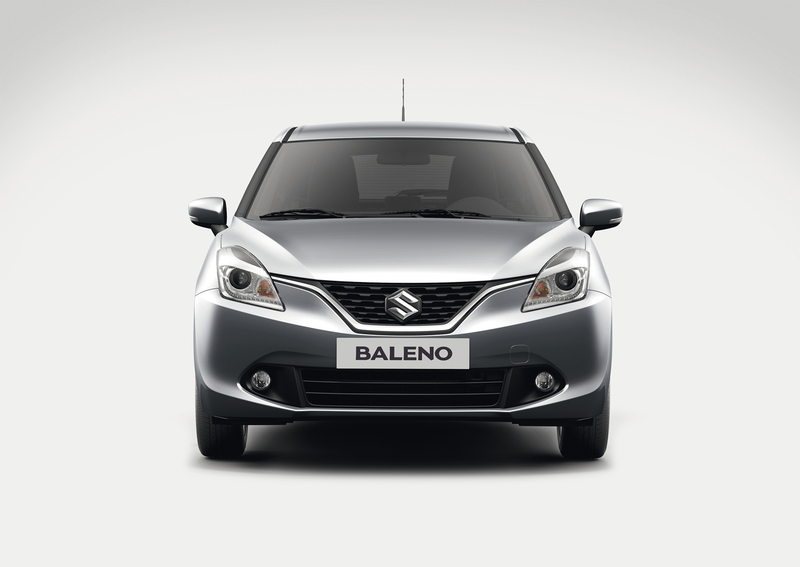 The Baleno will be offered with three powertrains which promise to offer excellent fuel economy. 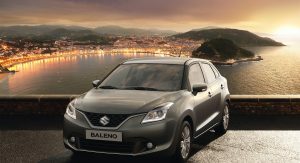 Customers will be able to choose between a new 1.0 BOOSTERJET 3-cylinder direct-injection turbo engine, a four-cylinder 1.2 DUALJET engine and SHVS (Smart Hybrid Vehicle by Suzuki) with 1.2 DUALJET engine. 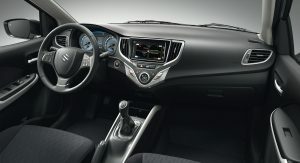 The 1.0 BOOSTERJET engine is rated at 110hp and 170Nm (125lb-ft) of torque, while the 1.2 DUALJET delivers 89hp and 120Nm (88.5lb-ft) of torque. 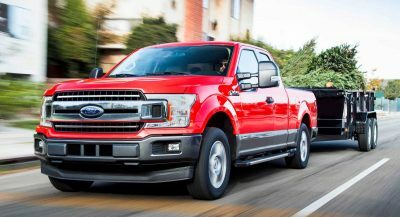 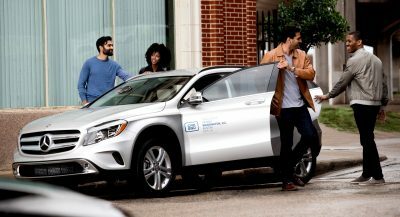 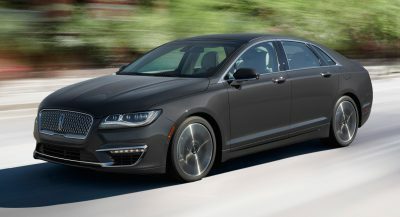 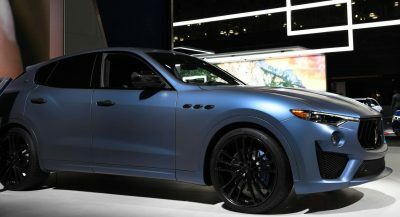 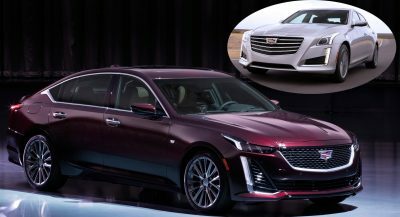 The former engine can be paired with either a five-speed manual or a six-speed automatic transmission, while the latter unit can be paired with either the same five-speed manual or with a continuously variable transmission. 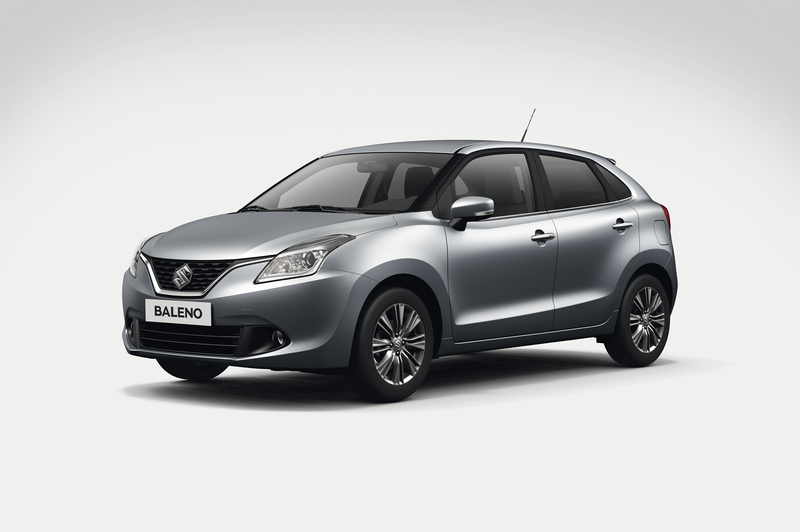 Among the Baleno’s features Suzuki lists the multi-information color display, adaptive cruise control with speed limiter and a Smartphone Linkage Display Audio compatible with Apple CarPlay. 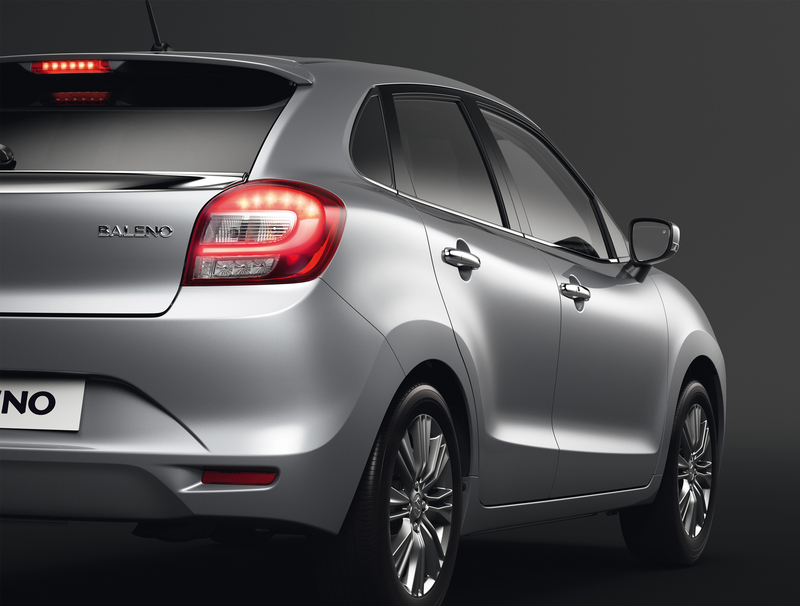 Safety features include Radar Brake Support.